Attorneys for Michael Cohen, the longtime personal attorney of President Donald Trump, said Monday that they had completed a review of more than 4 million files seized by the government during an April 9 raid on Cohen’s apartment, office, and hotel room, meeting the court-ordered deadline. In a letter to Judge Kimba Wood in the Southern District of New York, attorneys for Cohen claimed Monday that more than 12,000 of the 4 million files should be protected under attorney-client privilege. According to the letter, Cohen’s legal team scoured files pulled from 13 different mobile devices and iPads and 20 digital media devices. Cohen is under federal investigation for his business dealings and for his role in an alleged hush-money payment to adult film-star Stephanie Clifford, known as Stormy Daniels. President Donald Trump listens during a meeting with Republican members of Congress on immigration in the Cabinet Room of the White House, June 20, 2018, in Washington. The president has denied allegations of a sexual relationship with Daniels. 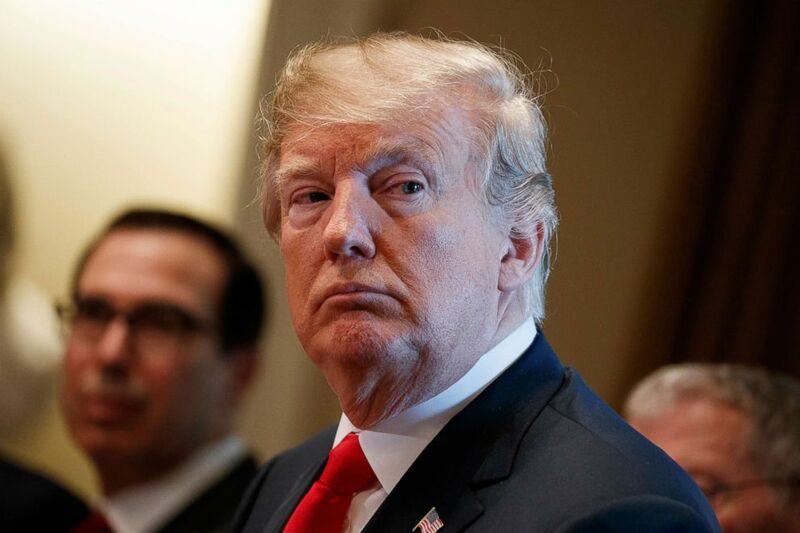 Lawyers for President Trump and the Trump Organization – which intervened in the case – currently have a deadline of Wednesday to finish reviewing documents, after which all of the materials not designated as privileged are to be turned over to the government. Last week, sources told ABC News that Cohen hired New York lawyer Guy Petrillo to represent him in the federal investigation going forward. Petrillo is a former head of the criminal division of the U.S. Attorney’s Office in Manhattan. Cohen’s current lawyers, Stephen Ryan and Todd Harrison, made no mention of a legal team shakeup in their Monday letter to Judge Wood.